Horses in the Middle Ages were rarely differentiated by breed, but rather by use. Medium-weight horses developed as early as the Iron Age with the needs of various civilisations to pull heavier loads, such as chariots capable of holding more than two people, and, as light cavalry evolved into heavy cavalry, to carry heavily-armoured riders. The destrier is the best-known war horse of the medieval era. It carried knights in battles, tournaments, and jousts. It was described by contemporary sources as the Great Horse, due to its size and reputation. Specific ancestors of this type include the Neapolitan horse, and the Iberian horse of Barb ancestry known in the Middle Ages as the Spanish Jennet. They are characterized by powerful hindquarters, a muscular, arched neck, a straight or slightly convex profile, and usually a full, thick mane and tail. These horses are particularly well-suited for the haute ecole discipline of classical dressage. Horses in the Middle Ages were rarely differentiated by breed, but rather by use. This led them to be described, for example, as “chargers” (war horses), “palfreys” (riding horses), cart horses or pack horses. Reference is also given to their place of origin, such as “Spanish horses,” but whether this referred to one breed or several is unknown. Another difficulty arising during any study of medieval documents or literature is the flexibility of the medieval languages, where several words can be used for one thing (or, conversely, several objects are described by one word). Words such as ‘courser’ and ‘charger’ are used interchangeably (even within one document), and where one epic may speak disparagingly of a rouncey, another praises its skill and swiftness. Medium-weight horses developed as early as the Iron Age with the needs of various civilisations to pull heavier loads, such as chariots capable of holding more than two people, and, as light cavalry evolved into heavy cavalry, to carry heavily-armoured riders. The Scythians were among the earliest cultures to produce taller, heavier horses. Larger horses were also needed to pull supply wagons and, later on, artillery pieces. In Europe, horses were also used to a limited extent to maneouvre cannon on the battlefield as part of dedicated horse artillery units. Medium-weight horses had the greatest range in size, from about 14.2 hands but stocky, to as much as 16 hands (58 to 64 inches (1.5 to 1.6 m)), weighing approximately 1,000 to 1,200 pounds (450 to 540 kg). They generally were quite agile in combat, though they did not have the raw speed or endurance of a lighter horse. By the Middle Ages, larger horses in this class were sometimes called destriers. They may have resembled modern Baroque or heavy warmblood breeds. Later, horses similar to the modern warmblood often carried European cavalry. 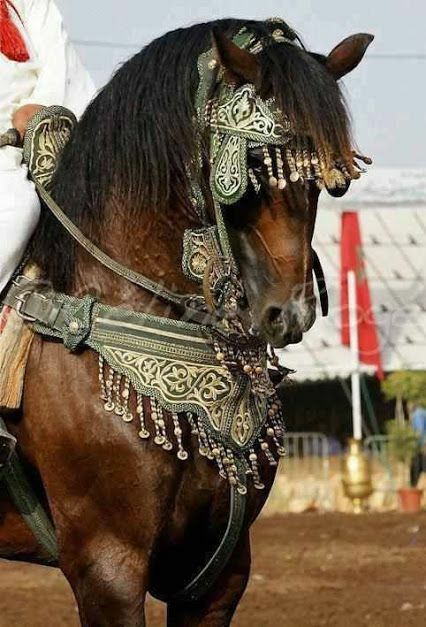 The modern breeds included in this category include the Andalusian horse, the Lipizzan, Frederiksborger, Friesian, Ginetta, Kladruber, Knabstrup (non-sport horse type), Manorquin, Murgese, and the Lusitano. Lipizzans are probably the best known of the Baroque type breeds due to their national showcase at the Spanish Riding School in Vienna, Austria. In the Middle Ages, horses differed in size, build and breed from the modern horse, and were, on average, smaller. They were also more central to society than their modern counterparts, being essential for war, agriculture, and transport. Consequently, specific types of horses developed, many of which have no modern equivalent. While an understanding of modern horse breeds and equestrianism is vital for any analysis of the medieval horse, researchers also need to consider documentary (both written and pictorial) and archeological evidence. Correct classical riding only occurs when the rider has a good seat and a correct and well-balanced body position, moves with the horse’s motion, and gives and times the aids correctly. The Baroque type horses are a favorite for this stye of riding competiton.